Winning a $1.7 million contract awarded by Perini Management Services, Indiana’s Go Electric is to install a 1 megawatt (MW)/1 megawatt-hour (Mwh) advanced battery-based energy storage system (BESS) at the Tooele Army Depot (TEAD) in Tooele, Utah. Part and parcel of a grid-connected microgrid, Go Electric’s advanced BESS features the company’s patented AutoLYNC microgrid controller, which will enable TEAD to control and manage multiple AC and DC distributed energy resources. That includes on-site solar power generation. All that, in turn, will help ensure TEAD is self-sufficient when it comes to power and energy supply, enhance power and energy reliability and resilience, and cost effectively insulate TEAD from volatility of energy prices, Go Electric highlights in a news release. Spanning some 24,000 acres (9,712 hectares), TEAD is an active joint ammunition storage site for the US Army responsible for shipping, storing, receiving, inspecting, demilitarization and maintaining training and conventional war reserve ammunition. Its Ammunition Equipment and Manufacturing Directorate design and manufacturers ammunition equipment used in maintenance and demilitarization of munitions for the entire Department of Defense (DOD). US military branches continue to work independently and jointly with private-sector partners and the DOD to develop, test and deploy distributed renewable and low-emissions energy generation, storage and smart grid resources and assets, initiatives that were ramped up during the Obama administration’s eight-year term of national leadership. It’s a trend Microgrid Media has been keen to report on. One of the US military’s first utility-scale renewable energy projects, TEAD’s 1.5 MW solar energy array consists of 430 parabolic-mirrored dishes spanning 17 acres (6.8 hectares) that concentrate and focus the Sun’s thermal energy on to a Stirling electricity generator. Equipped with GPS, two electric motor drives enable the dishes to track the sun vertically and rotationally throughout the day. 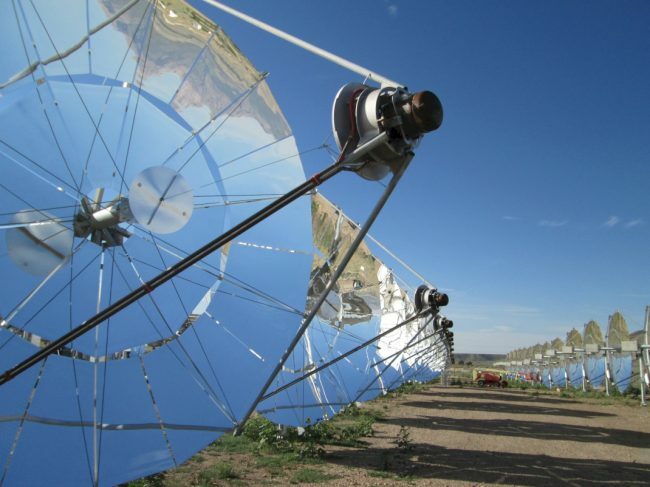 Upon commissioning, TEAD’s concentrating solar thermal energy system was expected to generate 30% of the Army Depot’s energy – equivalent to that used by 300-400 average homes. By reducing grid energy consumption, the solar array was expected to yield estimated annual cost savings of around $260,000. Go Electric has come to specialize in developing and installing advanced BESS and microgrid systems for the US military. 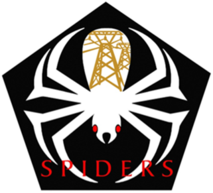 In 2015, the company completed the US Armed Forces’ fist facility-wide microgrid, a 2-MW installation at Camp Smith, Hawaii under the aegis of SPIDERS (Smart Power Infrastructure Demonstration for Energy Reliability and Security), a joint effort between the US Dept. of Energy (DOE), DOD and the Department of Homeland Security to incorporate cyber-secure microgrid solutions that enhance continuity of operations at DoD bases in the event of electrical power disruptions. As DOD notes, TEAD is one of 16 Army commands across the US working to achieve “net zero” energy status by producing at least as much energy as they consume. “This goal is not only to be better stewards of the nation’s resources, but also a cost savings as well as reduce the installation’s vulnerability to domestic terrorism,” DOD elaborated. The Go Electric BESS and microgrid controller to be installed at TEAD are designed to help provide the base with multiple key energy services: peak demand shaving, “black start” and uninterruptible power supply capabilities for TEAD, and ancillary frequency and voltage regulation services for the utility grid. By reducing grid power purchases during expensive peak demand periods of the day, the former should reduce strains on the local utility grid, as well as TEAD’s monthly utility bills. “Black start” and uninterruptible power supply capabilities should result in the BESS and microgrid automatically switching to “island mode” operations in the event of a grid outage, tapping into the energy stored in the LiB to power the facility’s critical needs. Whether it’s on residential, commercial, industrial, public or military sites, customers installing “beyond the meter” energy generation capacity pose challenges to utilities and broader-based grid systems operators. If it isn’t consumed on-site, the variable electrical power and energy produced by solar or wind power systems isn’t necessarily produced in sync with grid load, or demand, which also is fluctuating constantly. In addition, solar PV arrays and wind turbines produce DC electricity at low voltages as compared to that need to the high-voltage electricity transported via transmission and distribution lines and the AC electricity fed into homes, buildings, electrical and electronic equipment and devices. All this makes it necessary to store, modulate, and step up or step down solar PV production, as well as “invert” it from DC to AC electricity or vice-versa. That’s exactly what advanced BESS and solar PV-energy storage systems such as Go Electric’s are designed to do. 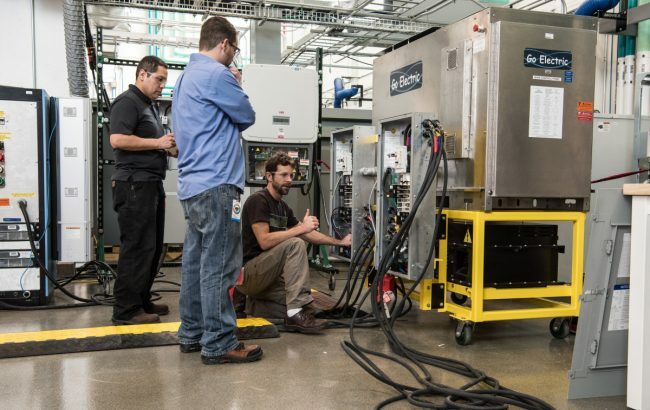 “This is Go Electric’s second major military microgrid project, and projects like these are critical to advancing and validating our technology and project performance in the defense sector,” Chief Technology Officer Tony Soverns was quoted.